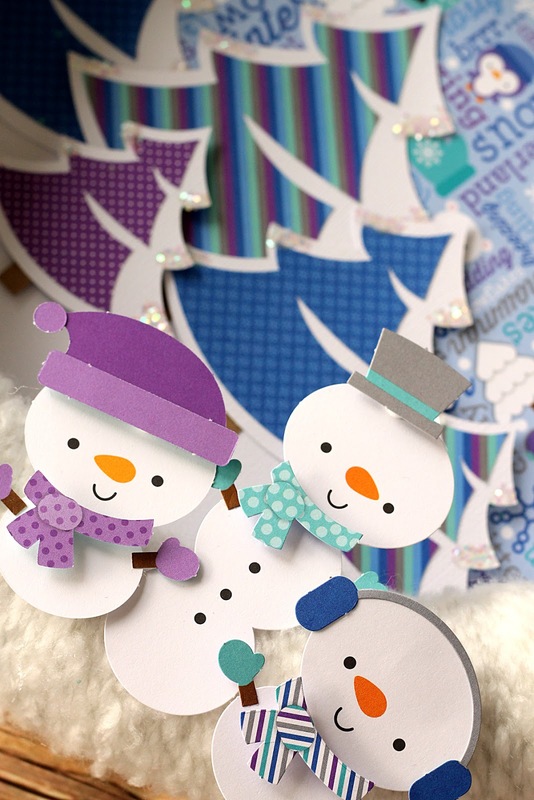 When I received my box of new goodies from the sweet people at Doodlebug I fell in LOVE with the Mix & Match Snowmen from the Frosty Friends Collection. These are just too cute and fun - I had to make something that everyone could look at all the time. I started off with a foam circle wreath (from Michaels) and wrapped it with white yarn (also from Michaels). I secured the ends of the yarn using a touch of glue with a hot glue gun. It probably took me about 15 - 20 minutes to completely wrap the wreath. Next I picked out a patterned paper for the background in my wreath and cut a circle using my Cameo. 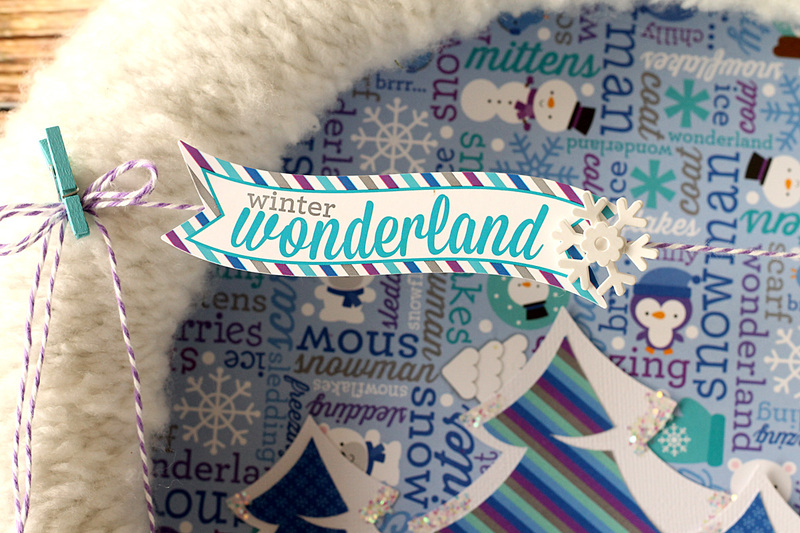 Before I glued the paper to the back of my wreath (using a hot glue gun again) I added some snow along the bottom of the circle cut from white cardstock. 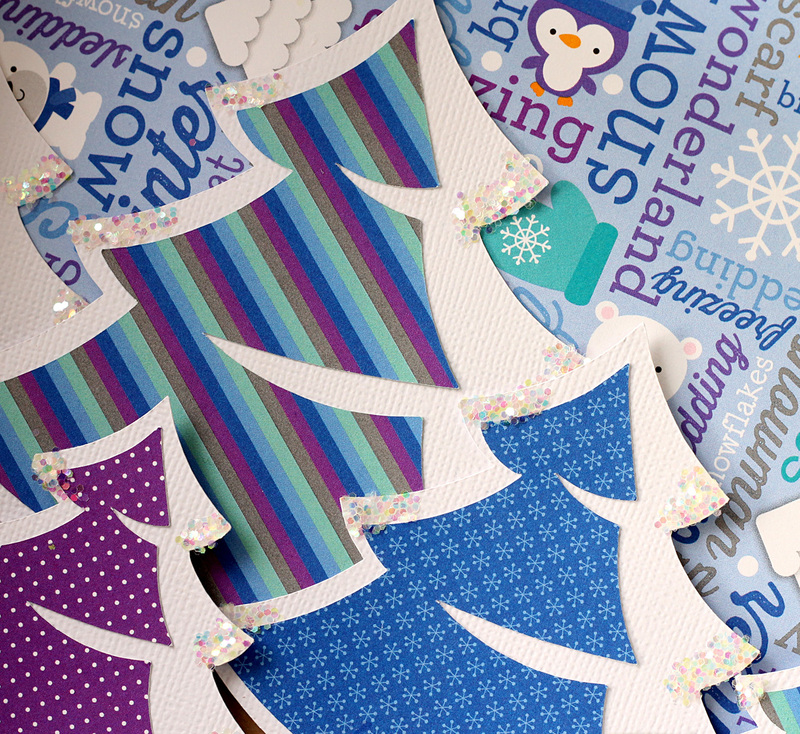 I choose a few prints from the coordinating 6x6 paper pad to cut out some fun trees and added some sparkle with pretty chunky Doodlebug glitter. 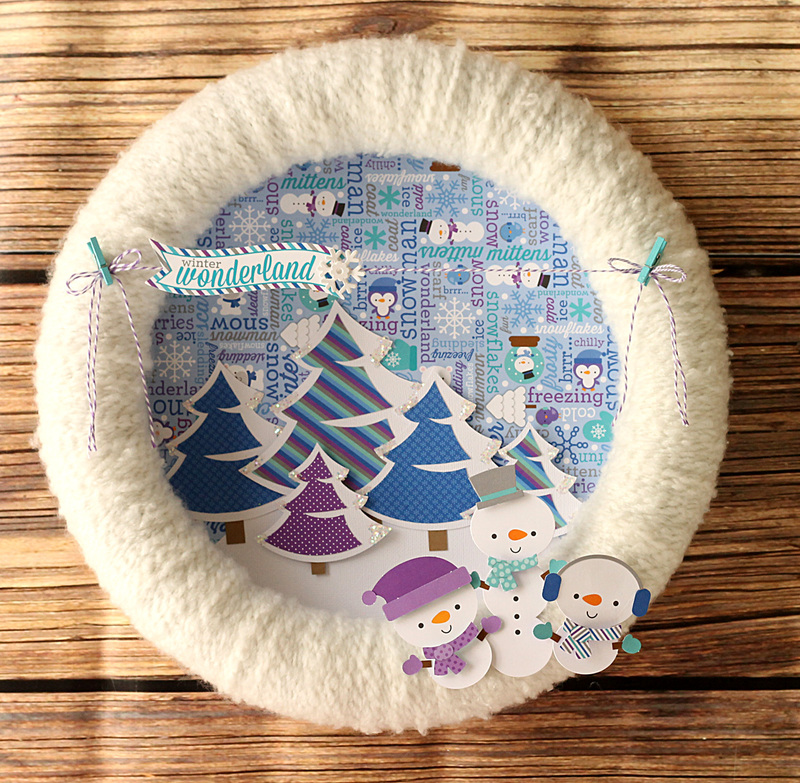 Once I had my background complete, I added my awesome little snowmen onto the front of the wreath. When I put these guys together I layered them using foam stickers to give them really fun dimension. I love that you are able to mix and match all their accessories! I used the super fun new Mini Clothespins to hold my banner. I love to use them to hold my twine! My kids were super excited about this project and we are going to love having it on display in our living room!! I hope you were inspired to create today!! 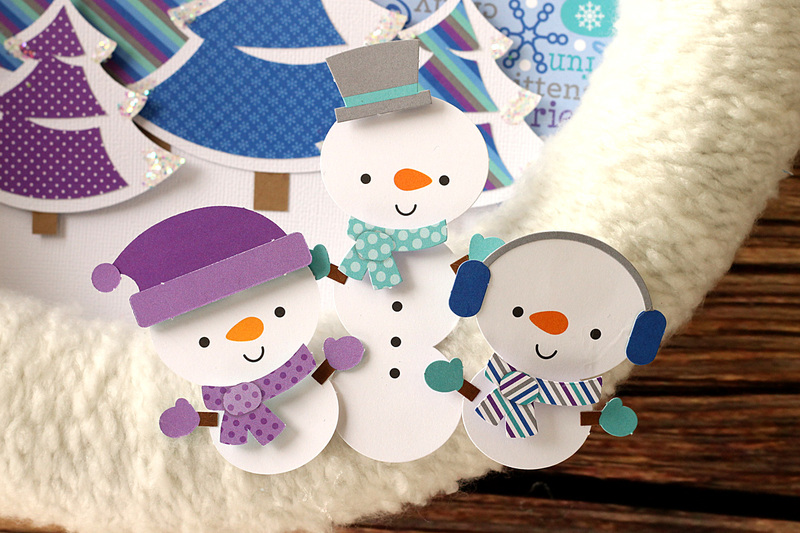 Thanks for checking out my project using the super fun Frosty Friends Collection! 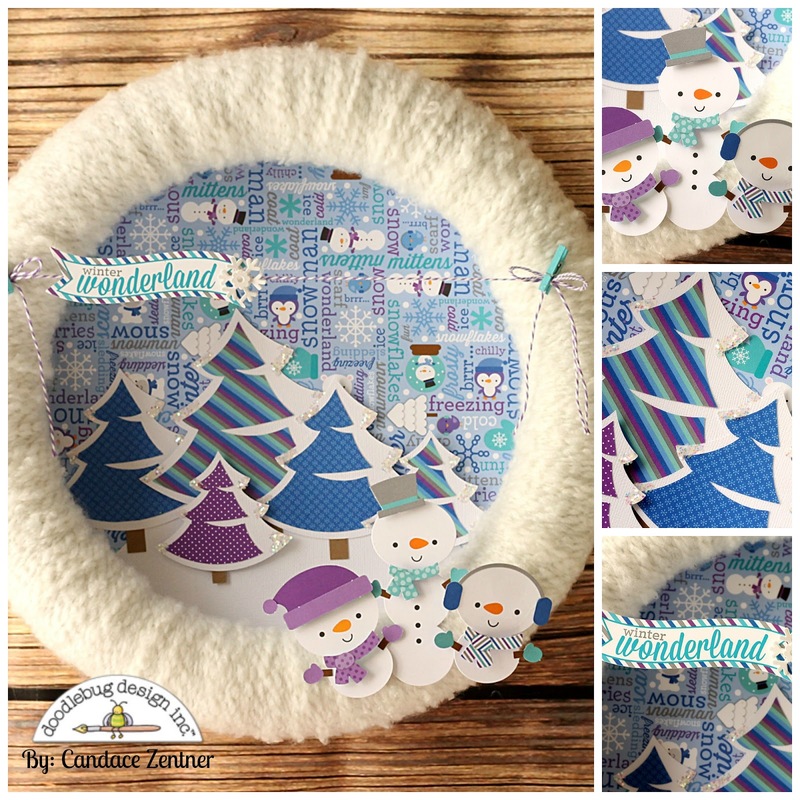 Love this wintery fun wreath. LOVE the textured yarn and your CLEVER idea to fill & decorate the middle of it - FABULOUS!!! Adorable! I will make one of these for a gift!!! I am UBER impressed with this project in all its cuteness and glory!! Way to go - such a fantastic idea and the tips you shared for how you made it are so appreciated!! What a beautiful thing to hang in your home - thanks to your awesome creativity and Doodlebug's incredible products!! Love that you made this!!!! um.... *GASP* this is brilliant and beautiful and cozy and fab! i love the whole idea, and the little scene is just perfect! i want to make a ton of them! !